I don't really disagree, but I have Biomancer's Familiar in there to serve as a back up Training Grounds for Deadeye and Biogenic Ooze's abilities. I was considering maybe cutting Wonder and Entomb for Akroma's Memorial and Master Biomancer . 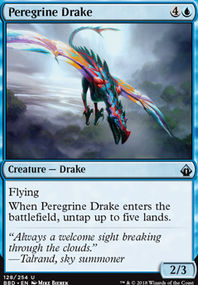 That way I retain my ability to give my creatures Flying.. and they get a ton of other keyword abilities too. The only issue is the increased CMC of Akroma's Memorial and the greater ease of removing it. 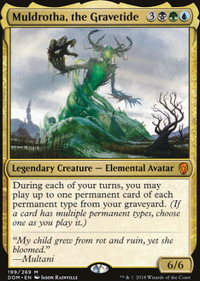 I've been piloting a Scarab God commander deck recently as well, he's one of my favorite commanders by far. I think I may have some advice to give, haha. The way I've built mine is with more of a focus on SG's first ability, and poured a lot of spots into token generation. Cards like Grave Titan , Cryptbreaker , and Ghoulcaller Gisa are fantastic additions to this deck, and you can get double the mileage out of the titan via SG's reanimation, along with other reanimator effects. I'd recommend Nim Deathmantle for this. Ashnod's Altar is a phenomenal card to have in a token focused deck, and since it's at instant speed you can just throw one of your tokens under the bus to pay for that last bit of mana. It's also got some insane combo potential with Nim Deathmantle (the two combo infinitely with Grave Titan if you're interested). In regards to zombie anthems, cards like Metallic Mimic and Adaptive Automaton usually fly under the radar, and there's a few more than the ones you have in here already (though you've likely seen them at some point). 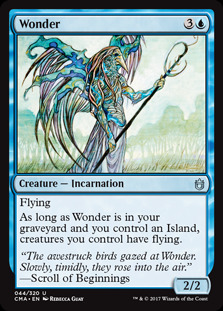 Wonder is a great thing to put in, because a horde of 5/5 flying zombies is not something you want to be on the receiving end of. A couple more anthems for your deck I'd recommend are Undead Warchief for cheaper zombies and Lord of the Undead for recursion on them. Finally, depending on how many non-zombie cards you end up with in here, I'd check out Arcane Adaptation . You don't have too many at the moment, but I'm putting it on your radar just in case. 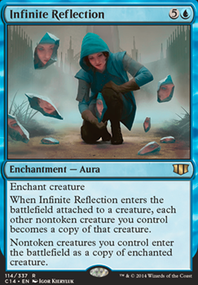 If you are worried about running more non-zombies (I see you have about 4 currently in the deck, but you have more in the sideboard) you may want to consider running Arcane Adaptation . Super helpful for rounding out the creature types and still allows you to run powerful cards like Grave Titan and even Wonder . I highly recommend trying to find a spot for Noxious Ghoul because from time to time he can be a real nifty board wipe especially if you drop Rooftop Storm and unload your hand. This isn’t a budget suggestion but Dream Halls will be super helpful for the theme of this deck. Just be mindful that it affects all players, but in most scenarios you’ll probably be the only one wanting to discard. I know stuff like Ashnod's Altar and Grave Pact start to fringe on combo plays but sacrificing just seems so natural in zombie decks. grim-grin, corpse born may be a sweet add-in as a big beater (which reminds me check out my zombie deck here if interested. I’ve spent some years working on it but it may inspire you in some ways I hope! Im jealous you can add-in a little white with Varina but I just can’t seem to break away from Grim grin. Anyway, sweet start on the deck! I had a similar build that I tuned for 1/1 counters to make a simic ascendency deck. 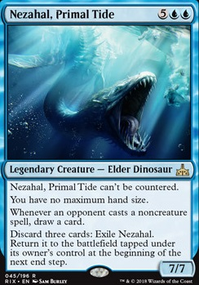 Edric, Merfolk Master I think Wonder and Archetype of Imagination are good finishers for this build. I think for the final cuts it should be some of the 'fun-but-grindy' cards. Conjurer's Closet only triggers once per round and only the Orrery can sneak these artifacts into play, which means you have to commit a turn to this. Minion Reflector is awesome because of the haste, but should probably get cut for the same reason as above. Moreover, Rashmi wants you to play a spell on each of your opponents turns, which makes main phase casting less appealing. I think you'll find yourself not casting these if you have flash creatures you'd rather keep up. Guardian Project or Beast Whisperer GP nonbo's with clone effects, while BW nonbo's with cheat effects. There are still 10ish draw effects, so you can can trim one. Hey, looks good for your first Commander deck. Forerunner of the Coalition : tutor for a Pirate, make opponents lose life when a Pirate ETB. Cloud Pirates : is a Pirate. Buried Alive : tutor for and put Wonder, Anger and Filth all into your graveyard. Shared Animosity : can make all your attacking Pirates have huge power. Marchesa, the Black Rose : not a Pirate, but her ability can pump Pirates and make them hard to kill. Metallic Mimic : can be a Pirate when it ETB, combos with Marchesa. Fervor : give Pirates haste. Brainstorm : draw three for one mana. Chaos Warp : permanent removal. Gamble : tutor for any card. If you would like I offer more advice. Good luck with your deck.